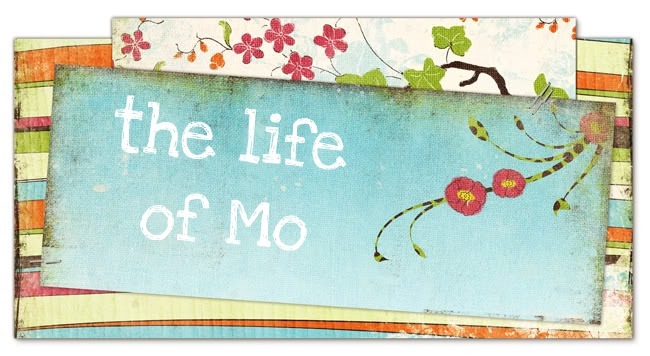 The Life of Mo: on being a Mrs. When I was growing up, I don't think I ever thought that I would be a "Mrs." I mean, I guess I assumed I would get married, but I thought I would be a "Ms." It just seemed more fair. If guys don't have something in front of their name that indicates their marital status, why should girls have one? After I was married, I think it felt a little silly to call myself "Mrs." Why should I have to differentiate myself from single friends and co-workers? Was it that important? This wasn't really an issue until we moved here. In Tampa, no one called me "Mrs." Everyone just called me Maureen. At work, at school, at church. Now, much of my identity when I work (in the library and as a substitute in the classroom) is tied to that "Mrs." No one would know who I was outside of my attachment to Matt, the chorus teacher. In a school environment, I have to have some sort of honorarium (is that what it's called?) in front of my last name, and, because of my attachment to Matt, it has to be "Mrs." That's how I volunteer my name now. One particularly dark night as I was walking home from the library, a student mistook me for another student from a distance. "Carrie? Is that Carrie?" he called. "No." I called back. "Well, who is it?" he replied. "Mrs. -----*!" I called with a laugh, surprised that I have come to define myself in such a way. Life is what happens when you are making other plans, right? So I ended up married at 23, with a new name, and a big fat "Mrs." attached to the front. And deliriously happy about the whole thing. Of course, Matt and I both wear wedding rings, and sometimes I wear my engagement ring. Clearly, I care for people to know I'm married. Taken. Attached. In love and loved in return. *Although, I 'm not sure much of anyone reads this blog besides family and friends, I've read enough stalker news reports to not want to list my real name. Would you believe I dealt with some of the same issues almost 30 years ago. But Dad (and Grandma)would have been sad if I had made an issue of the name thing. Enjoy your status! Also you all do not look old (but yes, maybe more grownup).